← Warner Archive Instant: Behold the Future of Streaming! Oh, and Despair. The Kaiju genre, best known to Western audiences as “The Godzilla Movie”, isn’t something that’s seen a great deal of success outside of Japan. Over there you can put a guy in a foam latex monster suit and have him kick over a few scale model boats, and then you can keep that going as an enormously successful franchise for a few decades. This is America though, and in America we are cynical, above all else. Our films about giant monsters and giant robots are bland and soulless, ashamed of what they are and afraid to appeal to anything but the lowest common denominator. See (or preferably, don’t see) Roland Emmerich’s appalling attempt at an American Godzilla reboot, or Michael Bay’s series of abortions based on the popular Transformers cartoons of the 1980’s. Kids growing up in a world after Sam Raimi’s first Spider-Man film might not know what I’m talking about here, but it’s only recently that a few directors have come forward determined to make huge action-packed spectacles that are not only well-constructed but also FUN, without a trace of the black leather-clad cynicism that plagues the Hollywood genre-blockbuster. I’m veering a bit off-topic here, but what I’m trying to say is that in this country you don’t just up and make a $200 million film about giant robots and giant monsters without trying to make it super-edgy or at least trying to get a Tom Cruise or a Will Smith (and family) on board. You just don’t. 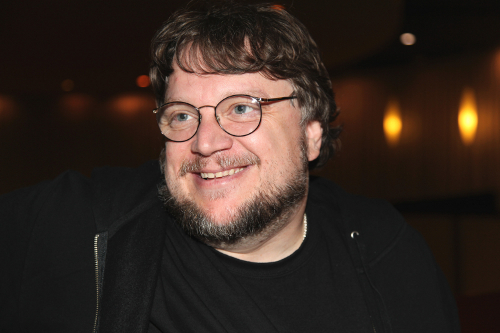 Unless you’re Guillermo del Toro, then that’s exactly what you do. The story takes place in a near future where Kaiju (giant monsters) have been trickling steadily through a rift at the bottom of the Pacific Ocean for some time. It’s not a problem though, because mankind just strikes back with Jaegers, towering robots piloted from within by a two-person team mentally synchronized through a process called “drifting”. Complications arise when the Kaiju gradually become stronger and appear more frequently, and the previously cake job of Jaeger pilot starts to become a lot less enticing. That’s all in the intro, which is the best world-building prologue sequence since The Fellowship of the Ring. 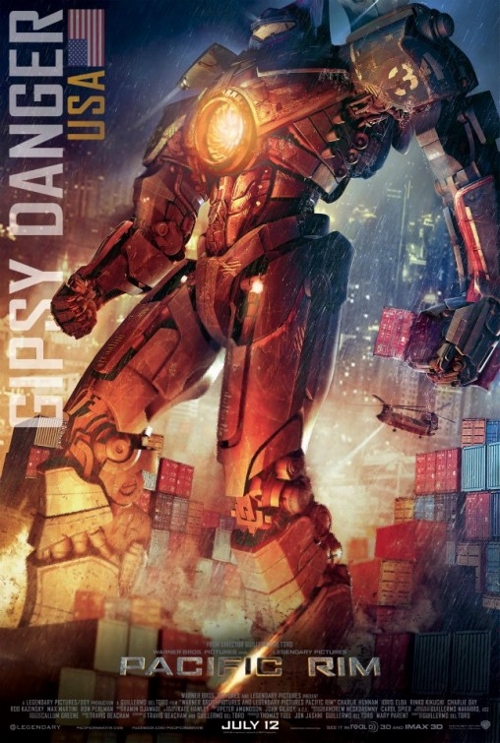 The Jaegers all have awesome non sequitur callsigns like Gipsy Danger and Cherno Alpha. The Kaiju are given codenames on arrival, often based on physical characteristics, like Leatherback. The whole movie is like this. It’s hard to explain what makes it so great, but I think a large part of why it comes together so well is that never feels like it’s trying to second-guess itself. If a film is dedicated wholeheartedly to its premise, suspension is disbelief becomes a non-issue. A Kaiju comes through the rift and the guy on the monitor says “This one’s Knifehead”, and I’m right there with him because the thing has a head like a giant knife. 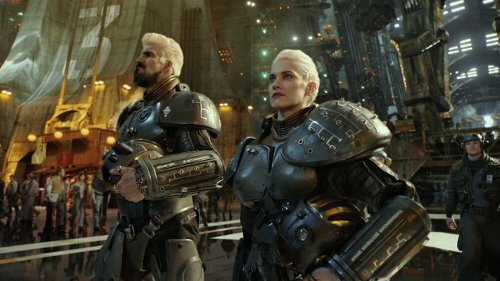 Pacific Rim about momentum, it’s about confidence in storytelling, and it’s about earnest enthusiasm for everything it’s about to show you. You don’t even need to watch the movie (although you should right now) to know what I’m talking about. Hit up YouTube and find a video of del Toro and his artists going over Jaeger designs. Now go watch a clip of George Lucas picking out alien designs for any of the Star Wars prequels. That’s what I’m talking about. That’s why del Toro succeeds. Another thing this movie just nails is casting–I cannot say enough good things about a cast like this. In an entertainment industry which is rapidly growing stagnant and dependent on a stable of stars whose paychecks have outgrown their bag of tricks, the smartest thing in the world a filmmaker can do is look to television. Because, let’s just admit it right here, that’s where the best acting is happening right now, and the long-held line between “TV Actor” and “Film Actor” is obsolete. I like Tom Cruise, but why drop 10% of your budget on him when you can get Charlie Hunnam and Ron Perlman (Sons of Anarchy), Idris Elba (The Wire, Luther), Charlie Day (It’s Always Sunny in Philadelphia), Burn Gorman (Torchwood), Robert Kazinsky (True Blood), and have all those dudes just come in and kill it for a fraction of the cost? Almost the entire cast are either “TV Actors” or, like the film’s female lead Rinko Kikuchi, known entirely for low-budget and arthouse movies. This is another case of del Toro just “getting it”. You bring in actors who are notoriously pleasant and fun to work with, you refresh the Hollywood talent pool, and you maybe drag in the built-in TV audiences for some of them. Why doesn’t every film do this? The money saved on casting certainly shows in the special effects, and the acting quality doesn’t suffer a bit. I’m intentionally not saying much here about the plot, partially because I think reviews with spoilers are dumb, and partially because it’s so tight and effective that I don’t need to say anything about it. I don’t want to go so far as to say that it’s built out of tropes, but the story beats are all warm and familiar and meant to keep you firmly in the moment. If you’re familiar with del Toro’s work then you know he likes fairy tales, and that he understands why those stories have survived for so long and in so many cultures. 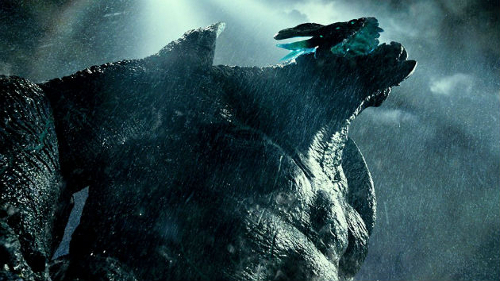 Even if you have no idea what a Kaiju is or the idea of people piloting giant robots is completely foreign to you, Pacific Rim will draw you in with an optimistic and universally applicable story, and it is far more interested in you having a good time than in your ability to catch a million genre references. To draw a metaphor in which movies are people, Pacific Rim is your friend that wants you to know WHY he likes Ray Harryhausen, Yoshiyuki Tomino, and Ishiro Honda, rather than that jerk on the Internet who makes fun of you for not knowing who they are. The entire thing feels built to not only appeal to an audience, but also to create one. It’s a perfect storm of brisk, economical storytelling, memorable characters, and over-the-top spectacle. I think that with a few exceptions the Summer Blockbuster is slowly trending back towards that spot it enjoyed in the mid to late 70’s (and a couple times in the 90’s), where a film could not only spend and make a huge amount of money but also be something truly worth seeing, a bit of common ground where audiences and critics could both agree that what they just saw was pretty great. 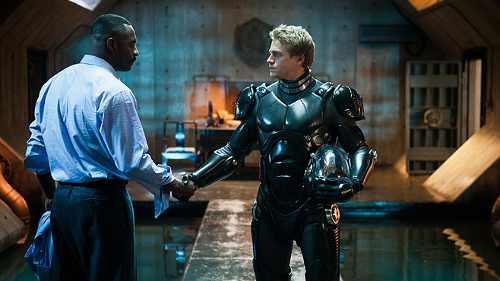 Christopher Nolan’s Batman trilogy, Marvel’s Avengers Phase I, and now Pacific Rim are all great examples of reuniting the genre film with the cultural event film. I have been repeatedly impressed in recent years by the arrival of great directors in the sandbox previously reserved for the Michael Bays and the Roland Emmerichs of the world, and consider myself lucky to see so many of my lifelong interests transferred to the screen with such a high degree of fidelity. This is probably the first time, however, that I’ve walked out of the theater with the overwhelming desire to find the director and ambush him with a hug, and then just beg him to tell me a million stories. Guillermo del Toro, please never change. Posted on July 14, 2013, in Movies, Nerd Culture, Opinion, Reviews and tagged Blockbusters, Charlie Day, Charlie Hunnam, Cherno Alpha, Crimson Cyclone, Giant Monsters, Giant Robots, Gipsy Danger, Guillermo del Toro, Idris Elba, Jaeger, Kaiju, Pacific Rim, Rinko Kikuchi, Ron Perlman, Striker Eureka. Bookmark the permalink. Leave a comment.